Saying the Daily Office is relatively simple, but it’s certainly not self-explanatory. So as the new church year begins on this First Sunday of Advent, here are a few hints to help you find your place. First, you will find it easier to pray the Office if you mark your Book of Common Prayer and your Bible ahead of time. Use the bookmarks on the Resources page of this blog or your own bookmarks, ribbons, or whatever else you like. 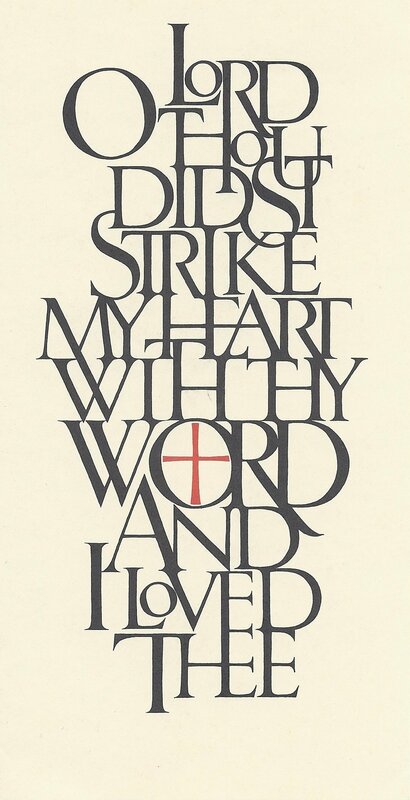 Place a bookmark at Psalm 146, or BCP 803. The psalms for Morning Prayer are listed first, then those for Evening Prayer. Place bookmarks in your Bible for the Old Testament (OT) reading from Amos, the Epistle (NT) reading from 1 Thessalonians, and the Gospel reading from Luke. Place a bookmark at BCP 211, where the Collect of the Day for the First Sunday of Advent is located. 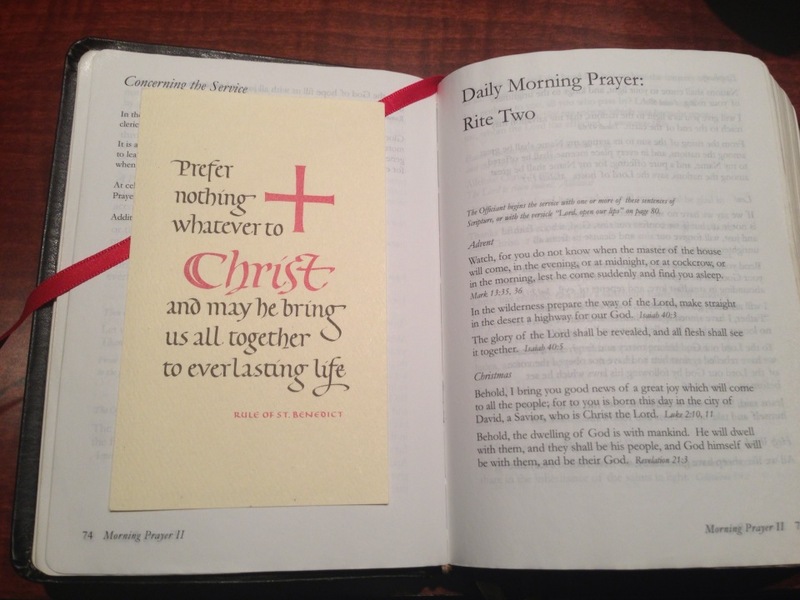 Place bookmarks at the beginning of Morning Prayer (BCP 75) and Evening Prayer (BCP 115). 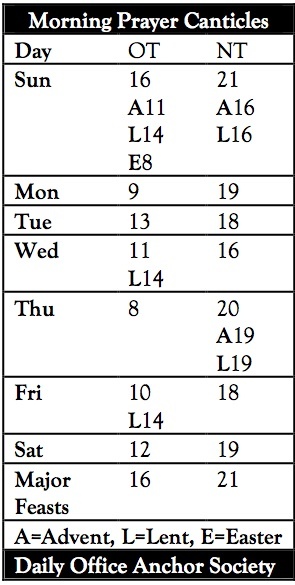 Finally, print out the two Tables of Canticles from the Resource page; place the Morning Prayer Table at BCP 84 and the Evening Prayer Table at BCP 118. I have found it helpful to tape the Tables of Canticles into the BCP at the pages above, as they are small and have a habit of falling out. See the picture above for an example. 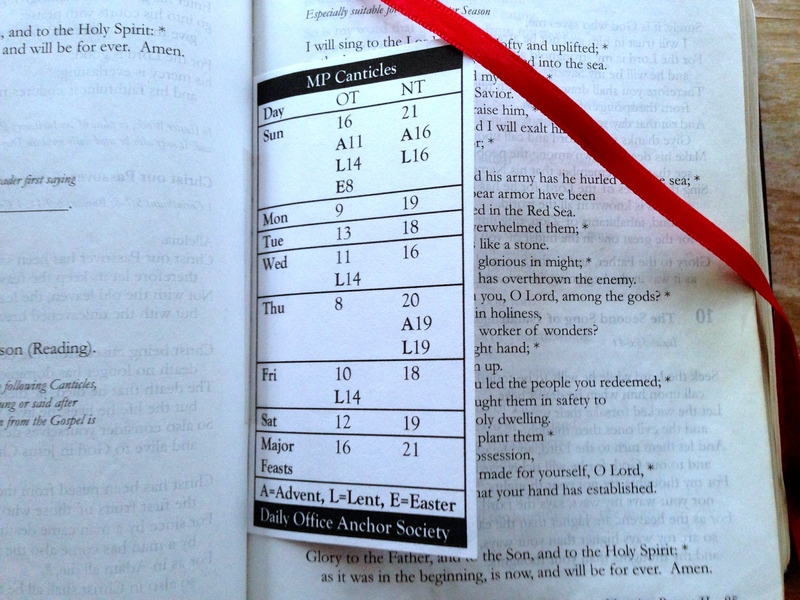 Also, after I say the Opening Sentences on BCP 80 and the Invitatory on BCP 82-83, I move the Morning Prayer bookmark (in my case, a ribbon) to the Canticle which will follow the Psalms and OT lesson. Today, for example, that would be for Sunday, in Advent (A), so Canticle 11. That way, after I flip forward to the Psalms and then read the passage from the OT, I can simply flip back to the Morning Prayer bookmark and continue with the canticle. You will certainly work out your own rhythm. Lastly, you may find it helpful to refer to the document called “Praying the Daily Offices,” also found on the Resources page. It will remind you what to do next as you move through the three sections of the Daily Office — Invitatory and Psalms, Lessons and Canticles, Prayers — and the bookmarks will already be where you need them when the time comes. Whether you are beginning the Daily Office in Advent (or beginning again), I hope these few pointers will help you not only to find your place in the prayer book, but to claim your place in God’s kingdom. This entry was posted in Daily Office, Daily Office Basics and tagged 1 Thessalonians, Advent, Amos, bookmarks, canticles, Lectionary, Luke, Psalms, Resources, ribbons on December 1, 2013 by Rodger Patience.